I got a chance to visit Ambedkar University Delhi’s campus at Kashmiri Gate (a campus that it shares with a couple of other universities), and explored the purported library of Dara Shikoh, which was turned into the British Residency (offices?) 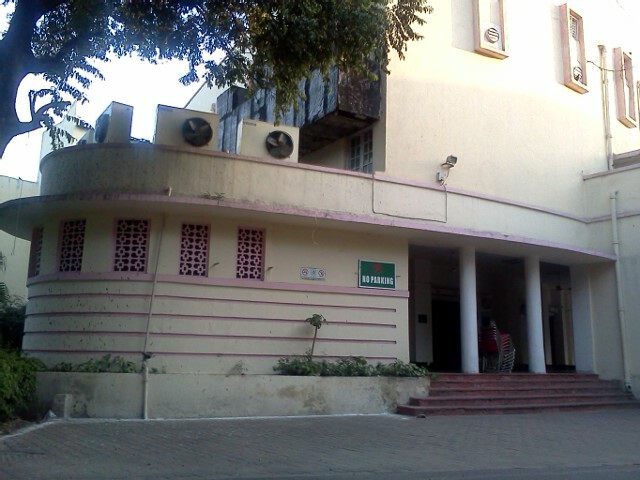 in the first half of the 19th c, and which is now used as ASI offices. The dusty set of exhibits inside includes a complete (rejoined) bowl of painted grey-ware from 1100BC-800BC. 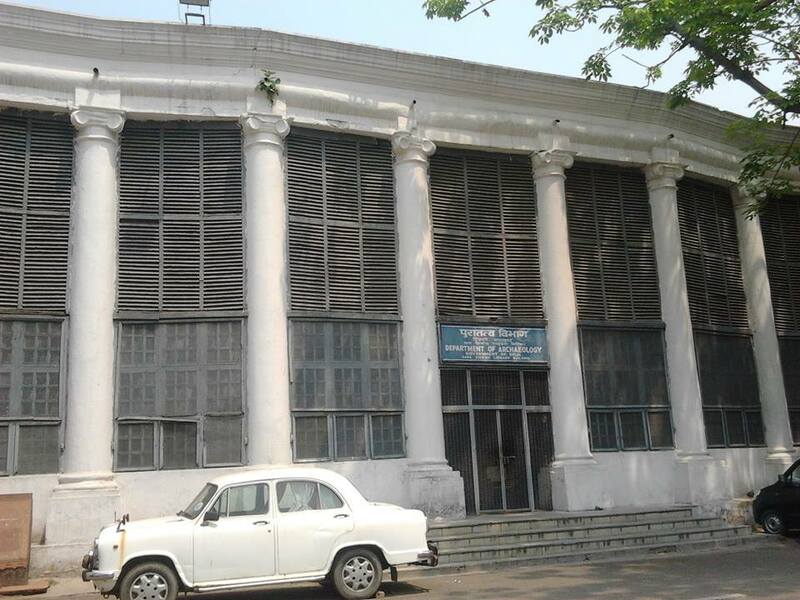 The building as it stands today is an odd, tall, colonnaded colonial-era building which encloses a smaller late-Mughal building inside. 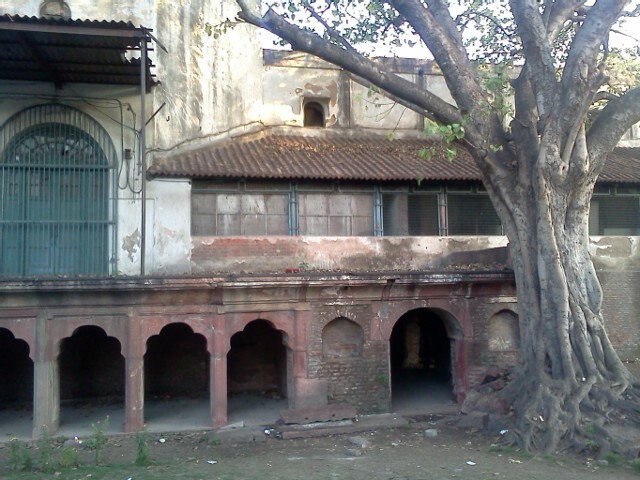 It is possible that the outer colonial-era structure was once just a large verandah that surrounding the inner Mughal building, and the verandah has since been enclosed as well. Here’s a photo of the front facade taken by a friend. 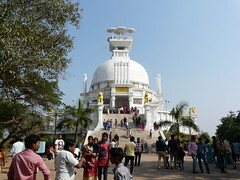 The late-Mughal structure is inside. 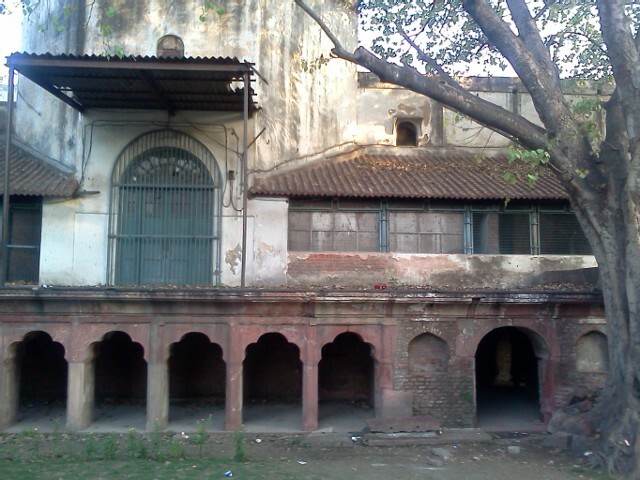 Whether the old building used to be Dara Shikoh’s library or not (this northern area of Shahjahanabad near Kashmiri Gate was originally occupied by the estate of Dara Shikoh), the layering of Mughal and colonial (with later additions) is clearly visible at the back of the building. 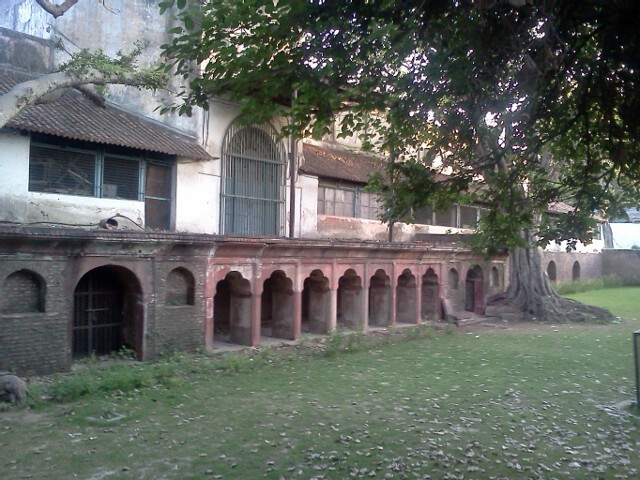 Also, the Mughal elements visible (mainly the three-point-arched arcade) seem to not just be lime-plaster finished like many late-Mughal structures (including inner structure of the building), but red-sandstone finished, indicating possible antecedents closer to Shah Jahan’s time. 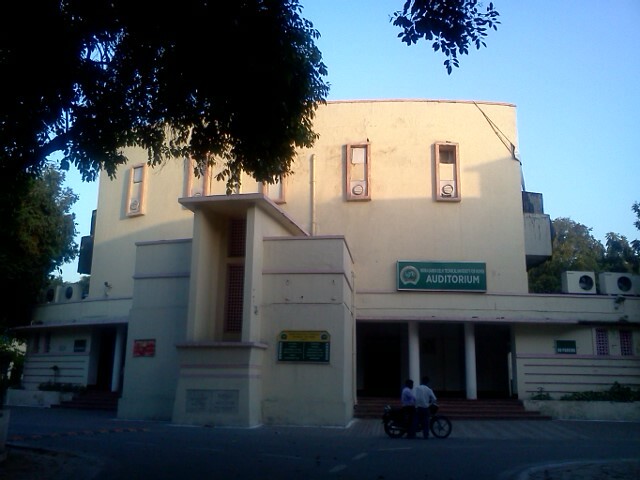 There was also an art-deco auditorium on campus! This entry was posted in Delhi, Dilli Darshan and tagged art deco, british delhi, colonial, delhi, desi deco, mughal, shahjahanabad. Bookmark the permalink.